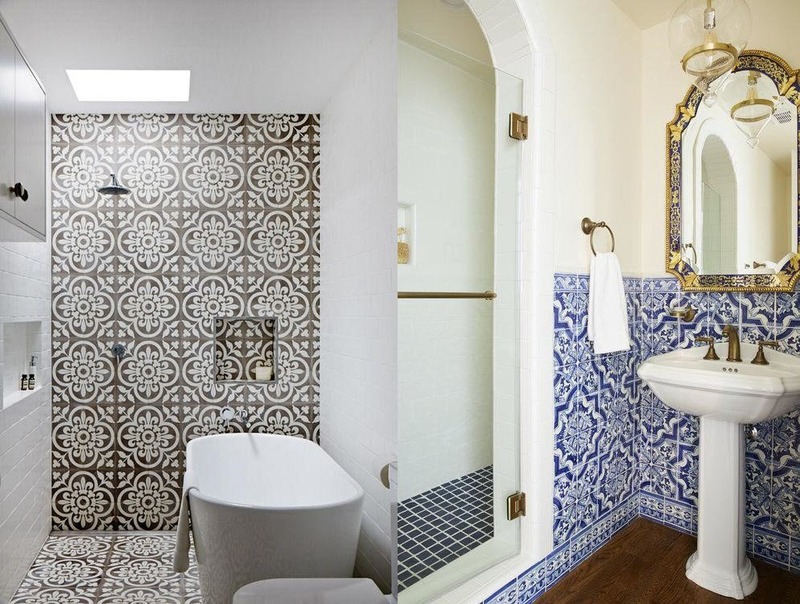 When it comes to choosing the right tiles for your bathroom, there are endless possibilities. Whether it’s porcelain or ceramic tiles, either material offers great stain- and wear-resistance. Bathroom tiles come in an array of colors, patterns, shapes and sizes which make them versatile for both wall or floor applications. Add to that all the tile trends that pop up, and it becomes even more difficult to make a decision on which tile or tiles to go with. 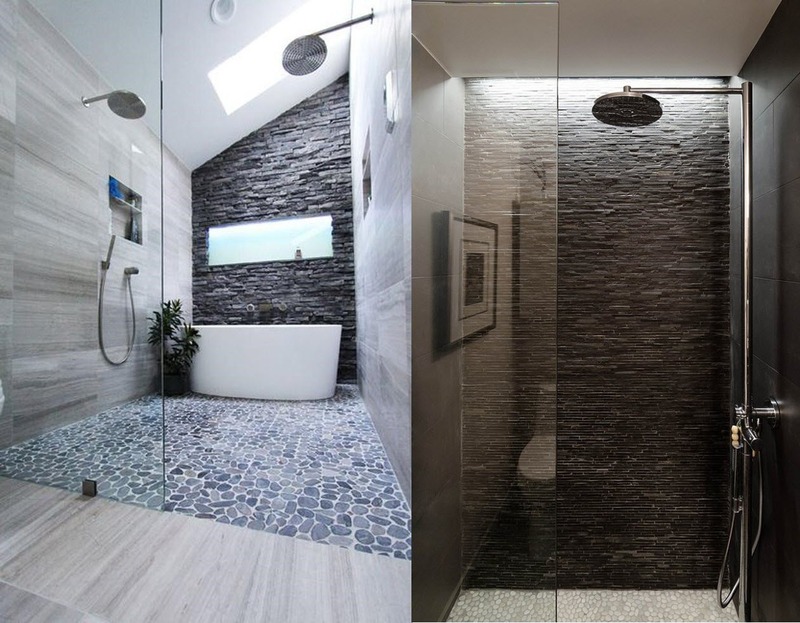 To give you some help, we share below our top 6 best tiles to use for bathroom walls and floors. Make a lasting statement with subway tiles in your bathroom. The classic rectangular tiles come in endless variations, representing almost limitless application possibilities. Most subway tiles can be installed on both the floor and walls to create a cohesive look that amplifies you’re trying to create. High gloss subway tiles are amazingly beautiful. They can stand alone for a classic look because of their smooth surface and bright colors. A great feature of high gloss subway tiles is their reflective surface which can bring in more light and brighten small spaces. For a contemporary vibe, mix in several shades of green subway tiles paired with matte or soft white subway tiles. 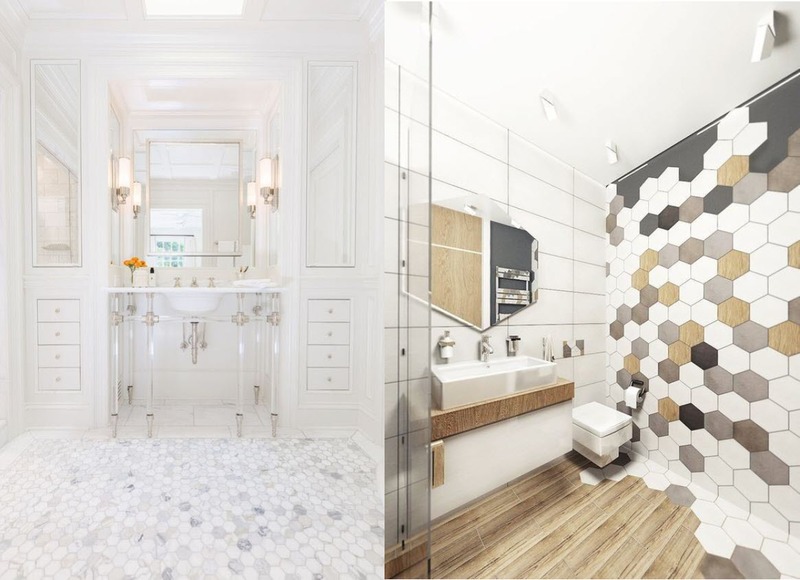 Hexagon tiles are the next big trend when it comes to bathroom design. You can install this unique shape by the sheet or as individual tiles. For an interesting transitional look, combine hexagon tiles on the wall with wood look floor tiles. The contrast between simulated wood grain in rustic brown tones and solid colored hexagon tiles creates a beautiful burst of modern and vintage atmosphere. For an added detail to the space, pair solid hexagon tiles with other printed hexagon mosaic tiles. It’s a seamless way to incorporate contemporary design into a modern decor. Natural stone has been a favourite finish of commercial spas from the very beginning. You can now easily bring the spa into your home by using textured stone tiles. Thanks to advanced technology, you can find stone-like tiles that are actually ceramic tiles. This makes installation a lot less labour intensive than the traditional stone stacking technique. For the perfect Zen bathroom and instant statement, install two textured stone-like tiles onto your shower walls along with any smooth ceramic surface. This will keep the space from looking too dark and heavy while creating a more balanced and inviting look. We’re obsessed with wood-like tiles. They look great in any space, large or small. Let’s not mistake this popular trend for the traditional running bond look. Wood-like tile panels can be installed in several ways, including designs like diagonal offset, chevron, and, our favourite, herringbone style. Whether it’s naturally inspired, white washed, distressed or even reclaimed look, wood-like ceramic tiles add rustic charm to your bathroom that create the perfect vintage atmosphere. So don’t hold off. Add that lovely touch of warmth and earthly feel to your bathroom using wood-like tiles. 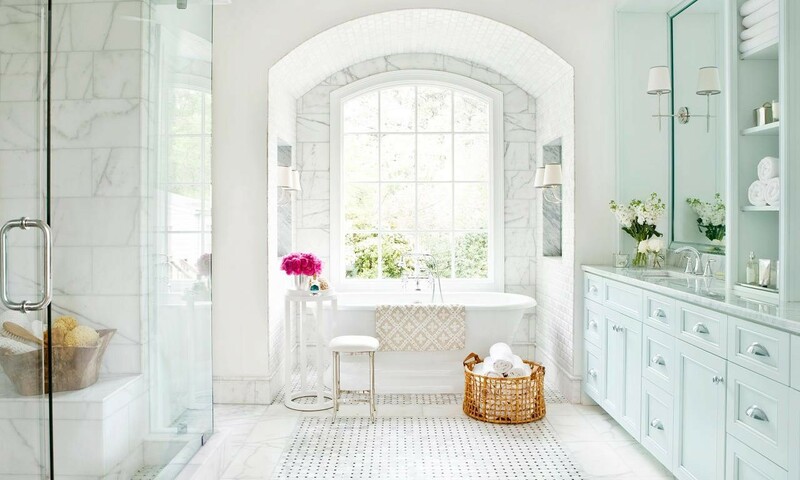 There are many designs that can brighten up your bathroom. One stunning design that stands out as the perfect definition of tranquil beauty is wave tile also known as leaf tile. This style stands out with its unusual curved design, making it a great choice for bathroom applications when looking for a noticeably different look. 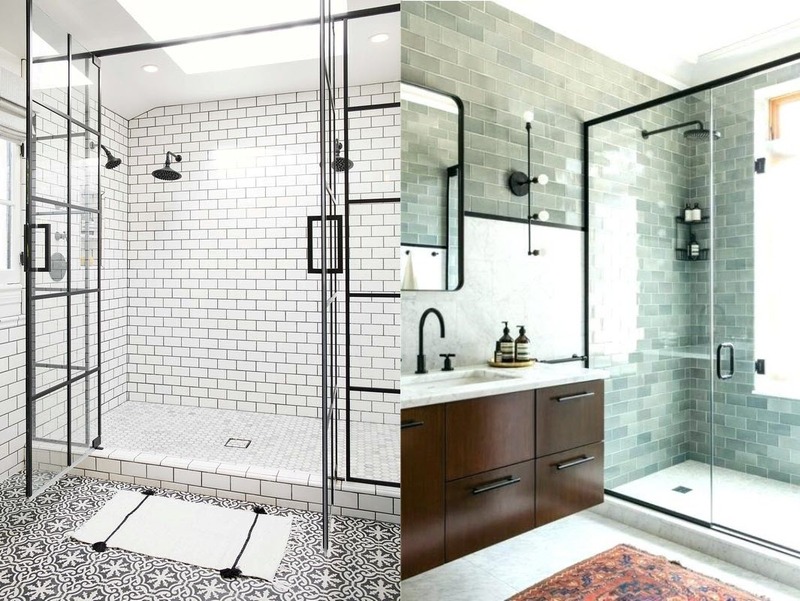 If you’re feeling a little confident and want to add a dramatic punch of modern to your bathroom, opt for black and white geometric mosaic tiles. 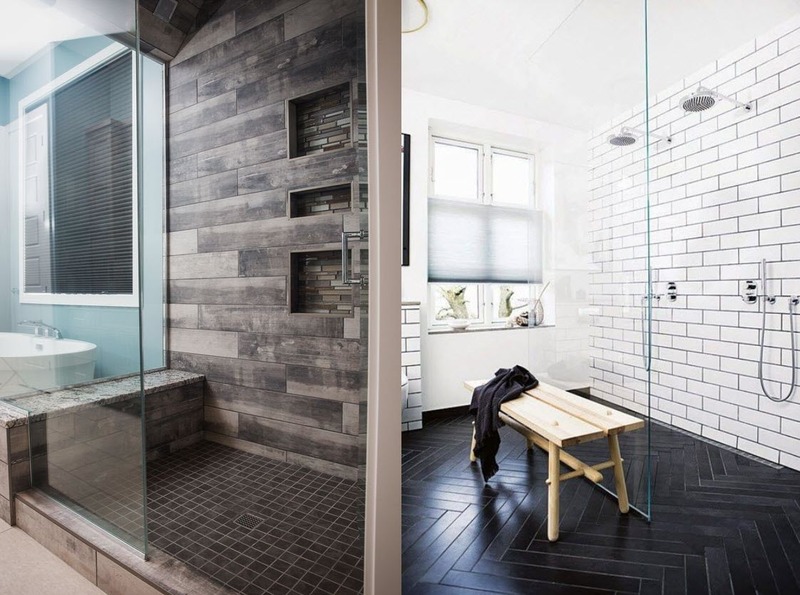 Try pairing the tile with other black and white border tiles for that added contrast. 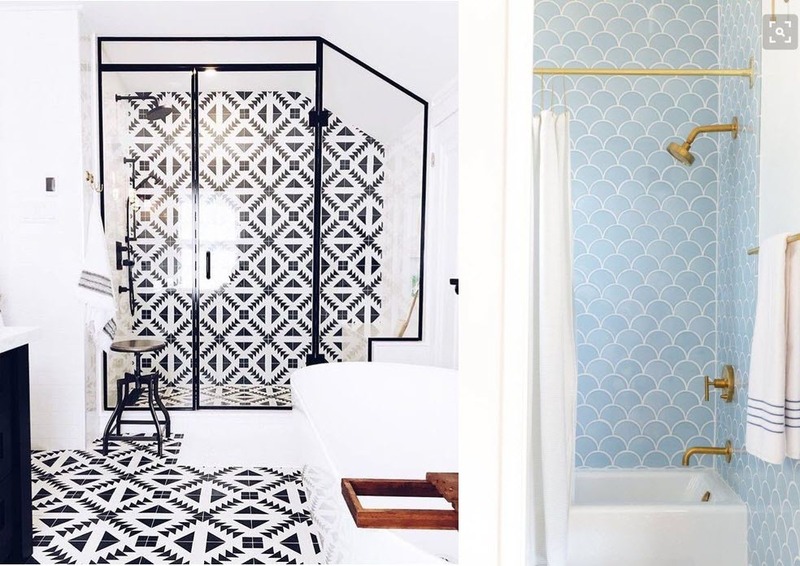 Speaking of trend alerts, decorative tiles are making their way out the kitchen and into bathroom walls and floors. Their bold print and bright beautiful colors add depth and personality to any space. For a unique and “hand-crafted”, opt for ocean blue Moroccan inspired hand painted ceramic tiles. The beautiful design speaks for themselves as it shines and transports you to a different world. Enhance the look by using metallic fixtures and large mirrors to open up the space. Decorative tiles are not going out of style anytime soon, so have fun with the colors and its intriguing designs. 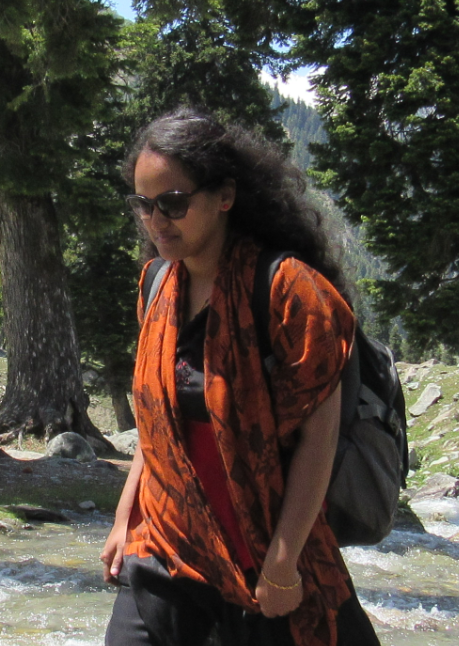 About the Author: Lucy Parker is the Resident Design Consultant at​ HomeDecorAZ.com​. When she’s not busy helping clients with interior design projects, Lucy writes blog posts related to home décor. She’s also a foodie who loves traveling and enjoys movies (except horror).